I like that they kept MC the same as in Halo 2, that was what I personally wanted all along, keep everything the same, but give it a graphical boost. 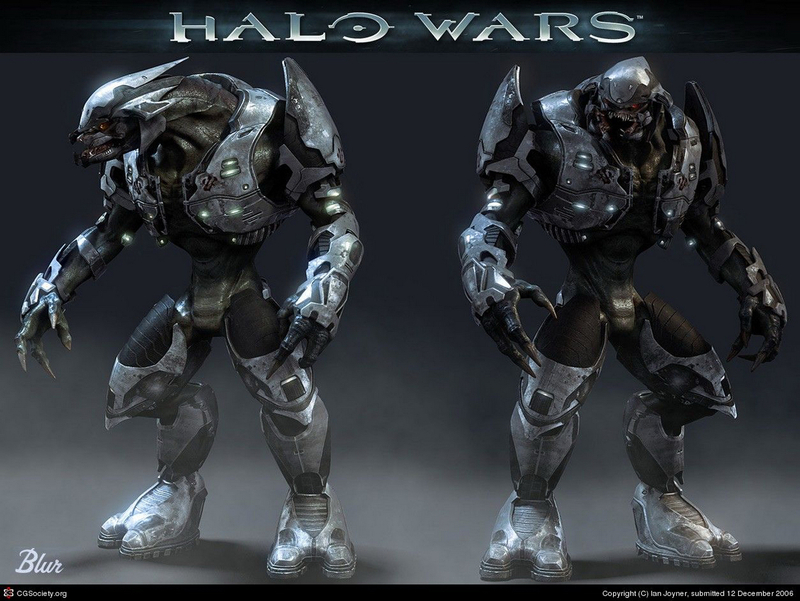 As for the elites, I still do, and always will prefer the standard Halo 2 variant, they don't look like repulsive aliens, and their armor is sleek and cool. As for the ODST, I think that they look as good as the standard Halo 2 ODST. I'm pretty sure the MC is actually done by bungie, and what you see is the original asset used in announcement trailers and cinematic trailers. The ODSTs aren't done by 343, they are saber. Model is fine but the shaders are so plain and bland. The way you went about saying that isn't the best, but I do agree with you, the shaders look great. Slightly off topic, but, still related to The MCC. Why haven't they shown any content for Halo 3 or other games in the collection? Because those games are not the highlight of MCC and are not remastered. They are the same way they were on the day of their initial release. Well, they should at least include Combat Evolved Anniversary from the 360. Why? It's the same as it was before! If you want to see videos of Halo CEA just search it up on Youtube, it's already been released. Now stop being stupid ok? Why? It's the same as it was before! If you want to see videos of Halo CEA just search it up on Youtube, it's already been released. I am just going to pretend that last sentence wasn't there. I already played CEA. I just don't understand why they would release the regular edition of the game over the Anniversary edition, given that this generation of consoles is about HD graphics. Oh. From they way you said it, it sounded like it didn't include CEA (I got that from when you said they are the same as they were on release day). Sorry about misunderstanding. Wrong, 343i did great with those shaders. What is wrong with them then? its basically an Up-Res'd version of the H2 armor. I have seen people constantly bitching here about 343 redesigning the armor and how awful it looks, but it seems they can't keep the design the same as the original and make people here happy either. ODST looks great - MC looks ok, they should really just make a "clean" version of the Halo 3 armor and use that for consistency. Dumb AI is just one of those annoying, bitchy, nostalgic Halo players who doesn't like anything. Armor is basically matte, which I dislike greatly. Exactly, It's battle worn metal, why would anyone want it to be some shiny hunk of armor. The more I look at these elites the more I can't help but wonder if they pulled from the Halo wars elite models. At first I thought they had merged Halo Reach and Halo 4's elite models and went from there, but now I'm not so sure. 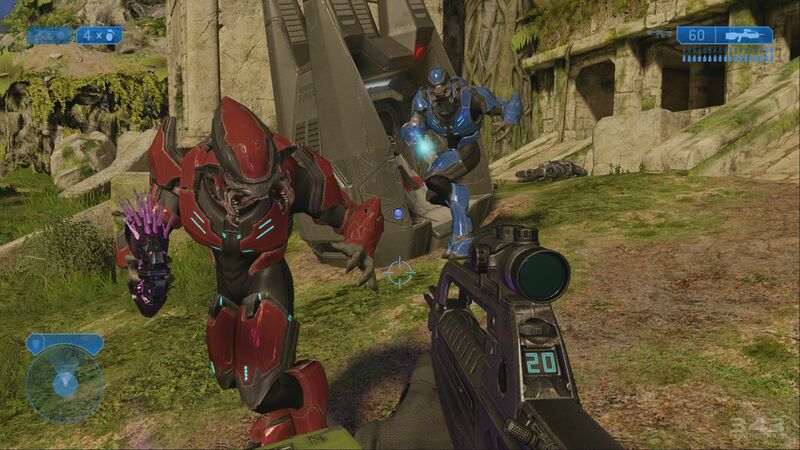 I'm pretty sure the new elites are heavily modified H4 elites. Also ALL games are getting updates to their graphics and performance, H1A included. I'm sure they used parts of the H4 elites, but the helmet shape, shoulder guard shape, hell, most all of the armor's shape, the point at which the armour stops and the skin suit continues from the mid section to the leg guards, the way the joints from the knee all the way down to the hoof angle and flow in perfect correlation to the HW elite, the claws, The lack of armor on his but. Everything matches up almost perfectly, overall-model wise. Now the obvious changes are to the textures, adding/removing small pieces of armor here and there, widening/thickening the elite's midsection (this threw me off the most, as adjusting this made the new elite look less bulky), and of course the elite's actual head, which is where it's obvious they pulled from a mixture of both Reach and H4. Never say to 343i they are bad company when you can't make you're own scene good. By that logic, I have no right to criticize any aspect of any movie, video game, painting, architectural design, song, or television series, because I don't know how to make any of these things. A cubemap alone can spruce things up quite nicely. The plain look is okay I suppose but it doesn't need to be so clean and dull (I am aware that some areas are far from being clean). For the visors, there is not much of a reason for THAT to be matte too. To be honest, I am glad that I got xbox one but right now I feel sorry for PC gamers. Higuy, you have to remember look at you're Lumoria Single Player map and compare to these scenes which one looks better? 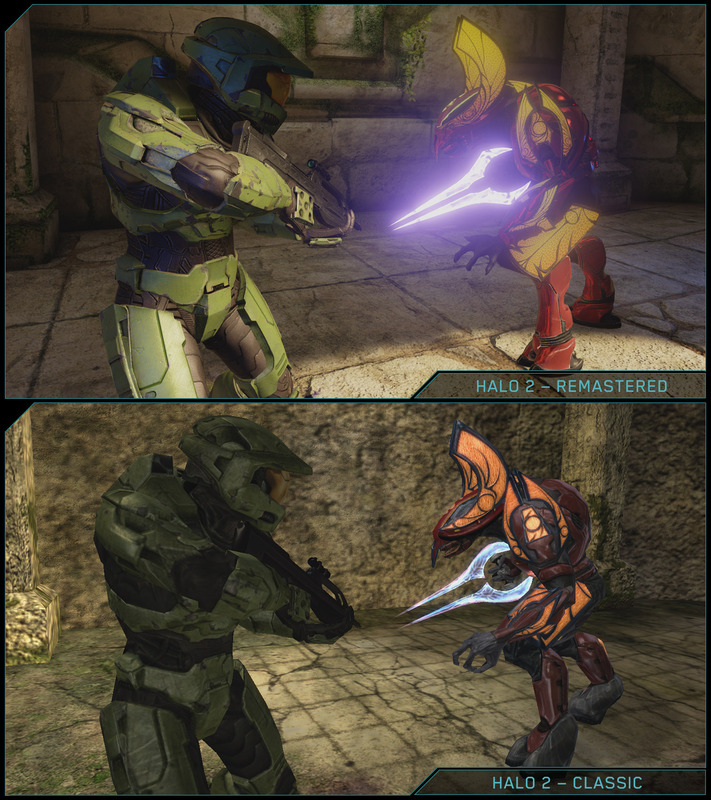 obviously halo 2 looks better because the way cinematic are and you couldn't even do that. Never say to 343i they are bad company when you can't make you're own scene good. It's ok! We have Goat Simulator in 60 fps 1080p. I would rather it look like painted metal than the original ridiculously reflective clear coat armor from H2. The visors pictured here are all in shadows, so not much to go on to tell whether they are matte or not. Whenever someone comes in here spewing controversial crap in broken english it's probably for the best that you ignore them. Either way a lot of trouble is saved. Is it just me, or are the new elite's feet really short? Like... how are they supposed to distribute their entire body mass across those 2 small sections of area? 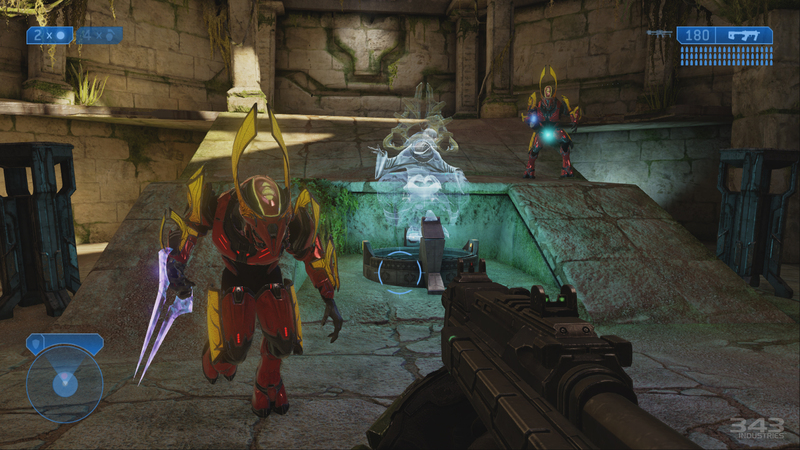 Even with an energy sword about 3 feet in front the Chief, it's still dark and has a strange lack of reflected light. The ODSTs' visors are almost pitch black, also with a lack of reflected light. I know it's possible that it's yet another design-related change but they should be reflecting a little bit of light, probably around the edges. Time: Fri April 19, 2019 3:26 AM 297 ms.